Want a Battery to Charge Your MacBook Pro? Or for that matter, any of your devices? Check out the Jackery Supercharge Portable Charger. It’s got a ton of juice to power all your stuff, including your laptop (USB C models only). Locked out of your iOS device due to too many wrong password attempts? If you have ever been locked out of your iOS device due to too many wrong password attempts, all you need to do is put the device in recovery mode and start over. Just make sure you are backing up your device regularly so you can restore your data if this happens. Check out this article with step by step instructions on how to put your device in recovery mode. Hopefully this won’t happen to you! The main reason people don’t use Do Not Disturb is they’re worried about emergency phone calls or texts. With this new tip, you no longer have an excuse! Emergency Bypass is a feature you can enable for specific contacts so that no matter what if your phone is powered on, the call or text is coming through. Here’s a clip of how to enable it. If you use this, remember to turn on Airplane Mode or power your phone off when you’re in meetings or church and you don’t want those alerts coming through. With AirPods being so popular it is hard to distinguish whose are whose sometimes. I recently came across the Nomad AirPod Rugged Case. They come in three colors of leather that should age great over time. If you have an Apple Watch, you will want to check out these seven tips that you may or may not know about. Did you know you can use your Apple Watch as a TV Remote? Check out how here! I’m so stoked on these! Ikea and Sonos teamed up to create a speaker lamp and bookshelf. I have a real thing for items that serve more than one purpose, and I think these things look so cool. Both products will come in black and white color options. The bookshelf speaker will be $99 and the table lamp will go for $179. There is still no launch date for these but it is hinted at this August. What do you think? Looking for a new secure email provider? I recently came across ProtonMail. It is an encrypted email service based in Switzerland. Their goal is to build an internet that respects privacy and is secure against cyberattacks. With End-to-end encryption, no one but the intended recipient can read the message. It was a sad day when Apple announced that they were canceling the Air Power mat due to not being able to meet their quality standards. I’m curious if Apple will revisit the Air Power mat in the future, but for now you can check out this option from Belkin. For those of you who don’t really like the AirPods because they fall out of your ears, Apple has announced the new Powerbeats Pro available this May. They have adjustable, secure-fit ear hooks and are sweat resistant with 9 hours of listening time. Check out the promo video and specs on Apple’s website here. Did I mention they will come in 4 different colors? Some of you may start to see a dialog pop-up that says, “App Not Optimized for your Mac”. Here is a lengthy article that goes into more detail. The short version is that some Apps have not been updated yet to Apple’s current platform and it is warning you that it is not using that platform. There is nothing wrong with it, but if not upgraded, it could potentially be an app you will not be able to use after the next OS upgrade this fall. Check this out! Next time you’re in Safari on your iPhone, find a link you’re interested in. Press hard on the link, then let up on the pressure and just leave your thumb resting on the glass. What happens is a preview of the article (or whatever you pressed on) appears. You can drag your thumb out of the way, but leave it on the glass if you still want to see what’s on that page. Release your thumb and the page goes away. Press hard again and it takes you to that page instead of just previewing it. Our technology enhances our lives in so many ways, but it has its drawbacks too. The emotional charge it holds to make you feel the need to constantly engage with others around us, and to consume information has a lot of drawbacks too. I recently came across some people who were changing their iPhone screens to black-and-white and decided to try it as well. What I found was the emotional charge when I checked my email and scroll through apps, and in just general use of my phone, while in black-and-white, was pretty much eliminated. I had no idea how much anxiety I felt every time I picked up my phone. It’s a little embarrassing to admit how unaware I was of this. I had almost all my notifications turned off. The badge icon that shows unread messages was already off on almost all my apps. I even have a new private number and my work line is primarily checked by my assistant, Jeanette. Yet somehow my brain associates this device with stress. The night I changed my screen to black and white, that charge disappeared. I made a very short video showing you the steps to set up your phone so that if you triple click the home button, the screen will convert to black-and-white. Repeat the process and the color comes right back. Check it out here in the new YouTube channel I just started thanks to your feedback. Would you consider commenting and liking if you find it helpful? Any feedback would be great since this is new for me. Come back after watching the video! As always, we’ve got more great content below in this newsletter! A lot of you have asked what the best time tracker app is. I use Toggl to keep track of the time I spend working on client projects, but for the everyday tasks we’re doing, there’s no way I’m going to open up an app to tell it what I’m doing. This is where the Time Flip Magnet comes in. You just pick it up and flip it to the face that matches your new activity. I’m so stoked to try this out. Hopefully I’ll have it next week. Check it out here! Brave is a new(ish) internet browser. It's really fast and all your Chrome extensions work. Basically it's a total ripoff of Chrome, but they designed it to protect your privacy and it’s faster than Chrome. You have to set up your extensions again, but your bookmarks and everything come over. You can download it here if you want to try it out! I’ve been using it for a couple of weeks now and love it! Check out this guide that will walk you through the setup process and even let you set a date range for this feature to be turned on, as well as the option for an Auto Reply message. Have you ever wondered why sometimes your email archives and sometimes deletes? This is a feature you can choose between. Archiving will move your email into a folder you can access later where as deleting will move to your trash. If you have it set up for your trash to delete permanently these emails will no longer be accessible. The cool thing about archiving is it gets these emails out of your inbox but gives you the ease of holding onto emails you may need to reference later. Check out the gif I created on the left to see how to set up your archive or delete preferences. Looking for an iPhone with No Frills but It’s Still Fast? Check out the iPhone SE. I read an article from Mac Rumors talking about using it this year and how it’s still super responsive but isn’t overloaded with a ton of features you might not use. If you are looking for an iPhone for basic use (Phone, Mail, Messages, Calendar, and FaceTime) the SE model might just be exactly what you’re looking for. Apple started selling them in January on their refurbished and clearance site but know that they come and go pretty quick as this is still a pretty popular model. Apple has announced their next Special Event! Live from the Steve Jobs Theater in Cupertino March 25 at 10:00AM PST. If you would like to watch the event live click here. I am pretty excited to see what they have to announce with all the rumors going around. Jeanette and I are going to watch live and stream us talking about all the new stuff as it’s announced. We’ll send out a link when it’s closer to the date. Want to take Spark to a new level? Their newest feature, Email Delegation is definitely going to be a game changer. With the ability to delegate emails and set up deadlines right from the email delegation, this new feature is no doubt going to add more time to your life with better productivity in your workflow. Check out Spark’s short video introduction here. Tired of using a laser pointer during presentations? Have you ever wished that you could zoom in or highlight a portion of your presentation? This Spotlight Presentation Remote by Logitech may just be your new best friend. You can even set up timed vibration alerts to help you stay on track without disrupting your flow. If you would like to see a short highlight video check it out here. Have you ever tried rewinding a YouTube video by swiping along the play bar and suddenly found yourself back several minutes instead of a few seconds? There is an easier way! While watching the video, simply double-tap the left half of the play window to rewind only 10 seconds. If you want to forward 10 seconds, just double-tap the right side. YouTube videos stream at a resolution of 360p but you can change that. Tap your video as it is playing, then tap the three-dot icon that appears and select Quality. This will give you several options to boost your video quality. Have you ever wished you could watch a replay in slow motion? You can change your playback speed! Tap the three-dot menu button in the top right corner of the video, then tap “Playback speed.” From there you can choose from several options of speeds to watch your video. You can even speed up your video! Do you love Dark Mode on your Mac? Well you can change the theme within YouTube to a Dark theme in order to cut down on glare. You can turn it on in the app settings. Tap the account icon, then Settings, then select Dark theme. Have you ever wondered how watching one video on YouTube suddenly turned into a couple hours? You can use this setting to remind you to take breaks. It will even pause your video automatically. To turn this feature on, tap the account icon, then tap Settings and select “Remind me to take a break,” then choose your frequency. Do you like having the most up to date iPhone without spending upwards of $1000 each year? Do you want security that if you ever lose your iPhone or it gets stolen that you can get a replacement without having to buy a new phone? If you haven’t heard, Apple has an iPhone upgrade program where you can trade in your iPhone after a year and upgrade to the newest phone without ever paying full price for the previous phone. This program automatically has AppleCare+ Protection built into the price you pay each month and you can now choose AppleCare + Theft and Loss. If you choose the AppleCare + Theft and Loss option just make sure that you always have Find my iPhone turned on. This is a requirement from Apple if you need to go to the store for a new iPhone in the case of theft or loss. Check out this article from Gadget Hacks that will walk you through how to set up Find my iPhone to ensure it is always turned on. Have you ever tried returning to a website that you saved and it no longer existed? Or wished you could track your flight status at airports worldwide? Or how about a way to play ambient noises to help you focus better and boost productivity? Well here is a site with 101 Most Useful Websites on the Internet. Although I have not been able to open all of the links, there are some pretty good options in there to check out! Did you know there’s a special way ‘Today’ is viewed on your Mac? It’s a handy little sidebar that can show up on the right side of the screen so you can see what’s going on in your schedule, the weather and all kinds of little things. Check out The Sweet Setup for step by step instructions on how to make what you have going on today in a view that works best for you! Ever wish your door would unlock as you’re walking up to the house? Wish the heat would turn down at night and up automatically in the morning? Wouldn’t it be neat to have your lights be bright white in the daytime but warm and mellow at night? Home automation is your new best friend. All of your iOS devices have an app called Home. If you deleted it, just search the App Store for Home and it will pop back up. This is the app that you open to control any smart devices that are HomeKit compatible. If you happen to buy something that doesn’t work in HomeKit, then you’ll have to control it from another app. That’s why people some people only want to buy apps that are compatible with HomeKit, Google, Alexa or whoever. It’s about having everything in one place. If you buy a smart lock that’s compatible with HomeKit, the Home app is where you control it! If you’re new to the home automation scene we found a list of the 10 best HomeKit lights, locks, thermostats, and more. Enjoy! We all probably have used our iPhones for taking snapshots quickly and hope that most of them don’t come out blurry. If you would like to explore a little bit more with taking amazing photos with your iPhone, Apple has released several video tutorials on how we can shoot better photos and videos! Check them out here. Have you ever used the water eject option on your Apple Watch? Well now there is a shortcut you can use to do something similar for your iPhone in that oops situation where your phone gets submerged in water. 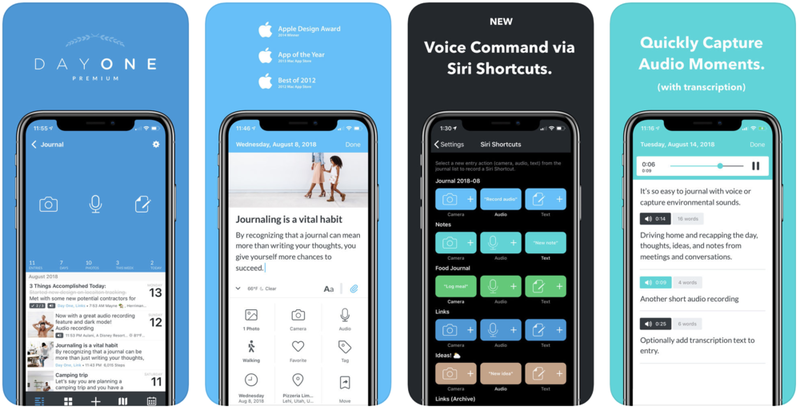 Check out the article here on how you can download the Water Eject Shortcut. No More Facebook Lives + 19 New Features Coming to iPhone You Don't Want to Miss! I’m stopping Facebook Live and have decided to start creating short polished videos to upload to my new Youtube channel. Subscribe here to get updated when I upload this awesome new content! 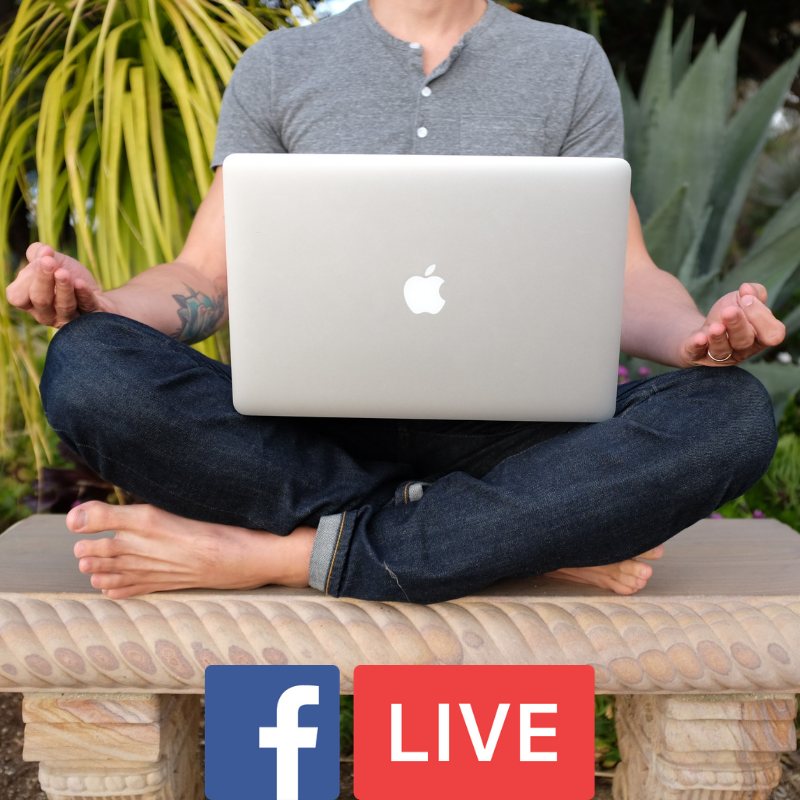 A big THANK YOU to everyone who responded to my email asking for feedback on my Facebook Live videos and letting me know what would be more helpful for you! In case you missed it, I sent out a letter asking if you think I should change up the videos I’ve been making. The Facebook Live videos I’ve been doing have been an amazing learning experience, but they’re just way too long. I’ll keep the videos up for you to reference since there’s a ton of really valuable stuff in there. Have you ever wished you didn’t have to pull your phone out of your pocket to take a video? Or didn’t want a full-size GoPro rig for a bike ride or outdoor activity? Well Uncrate has found a solution. The Opkix One Wearable Cameras. I thought the design of these was really cool because they are pocket-friendly and the case looks like an AirPods case! The pair of 1080p video cameras are just under an inch and a half long and weigh only 12 grams each which is basically nothing. They even have a range of accessories that let you mount them on your eyewear or wear them as a necklace or ring. The charging case is even more than just a case too. It wirelessly transmits your footage over to your smartphone and provides up to 72 minutes of recording time. Sounds like a great idea for even a gift for your family or friend who loves the outdoors! Who doesn’t love playing with Animojis? Turning your face into a T-Rex, Panda Bear, or even a Unicorn when sending a silly message to your friends is so much fun! Well hopefully coming soon you will be able to be a Giraffe, Shark, Owl, or a Boar if you would like! Which Animoji is your favorite? Do you ever wonder how the air quality is in your local city? I am so stoked to see the air quality in Apple Maps! This feature will allow you to view the Air Quality Index ranging from 0-500 to see how polluted the air is around you. I’m pretty sure I never used the Downtime feature because it was only allowed to be set for the same time every day. With iOS 12.2 it is expected that this will change. You will be able to customize what days have it on or off and you can set specific downtimes for each day of the week! I might actually use this feature if that happens. When performing a web search in Safari, there will be arrows next to the suggested search options. Clicking on an arrow will autofill that suggestion into the search bar for you. You can still tap on the words next to the arrow to open that search up right away, but the arrow helps narrow your search down and get other recommendations. Anything to save time when searching is awesome! Looking for new Apple Products? Well you might want to sit tight until they have another announcement. The rumor mill is churning with excitement, but remember they’re just rumors till they’re released. Here’s the scoop. Apple’s 2019 hardware roadmap calls for at least 11 new products, some of which we have all probably been waiting for...can we say wireless charging pad? Hardware changes including iPhone and iPad, Macbook Pro and Mac Pro, a 6K Display, and accessories such as AirPods and the long-awaited AirPower. Take a look at what appleinsider is saying regarding the potential upcoming 2019 lineup! My favorite speaker company just announced architectural speakers! If you’ve been thinking of installing built in speakers in your walls or ceiling or finding speakers to put outside, look no further! Sonos has an incredible reputation for sound that will WOW you and easy wireless streaming to multiple rooms. You can play different songs in every room, or pool them all together for Party Mode. Make sure to add these to your wish list for your next home entertainment upgrade! Click the links above for prices. Group Facetime still partly broken? Unfortunately, Group FaceTime even under iOS 12.1.4 hasn't quite been restored to its former functionality. A MacRumors forum thread started the day after 12.1.4's release revealed users who found themselves unable to add more users to a FaceTime call. As it turns out, it appears that users are no longer able to add a person to a one-on-one FaceTime call. The "Add Person" button remains greyed out and inactive in this situation. The only way to add another person to a Group FaceTime call at this time is to start the call with at least two other people. This slight distinction appears to be the source of confusion for many users. Apple is actively working on iOS 12.2 Beta which has not yet seen the addition of the patch for Group FaceTime, but we'd expect them to address the ongoing bugs in a later 12.2 beta release. With the all the new tech Apple is putting into their phones, namely Face ID, this makes so much more possible. The kids know this when it comes to using funny filters for Animoji’s, Snapchat, and Instagram. But a glasses company, Warby Parker, has incorporated this technology into their app so you can try on their glasses without having to go into a store or order some to try on. I actually have a few pair of Warby Parkers and they’re great, not to mention cheap compared to somewhere like LensCrafters. Check out their new app here. Wondering where you can manage app subscriptions on your iPhone? Apple finally made an update that allows you to easily find what you’ve subscribed to! This is a long time coming. While they could always be found, they were buried many layers deep in Settings. Here’s a picture of what to click on to manage subscriptions. Got a new iPad and looking for a good notes app? Check out GoodNotes 5. It is by far the most intuitive, most advanced and easiest to use notes app on the market. If you’ve got an iPad and want to be able to create notes, pull in PDFs etc, GoodNotes 5 is the best. They’ve been getting a lot of notoriety and I’ve got some clients who are serious nerds about this stuff and they agree, this is the best. Check it out here! The premise is this. Our bodies are were designed to wake up with the sunrise, not a beeping box. If you’re like me, you have blackout curtains so you have no idea what time it is when you wake up. Since switching to a light alarm clock, I typically wake up with the light and feel so much more awake and ready for the day. Most of the competitors out there don’t have quite the features The Glow Light has. You can have it slowly turn down as you’re going to bed, lulling you to sleep. You can also program the different light temperature which is great if you don’t want to be exposed to too much blue light while winding down. This is definitely something you guys should check out! For those of you thinking about cutting the cord to cable TV, you should check out YouTube TV. Most of my clients who have waited to do this really like watching sports and or the news. With YouTube TV, you’ve got access to just about any channel you want. YouTube TV is a commercial service that streams more than 60 live TV networks via the Internet. That’s networks… not channels. YouTube TV began streaming in April, 2017. Channels include CNBC, MSNBC, Fox News, BBC World News, The Smithsonian Channel (a venture by CBS-owned Showtime Networks and the Smithsonian Institution); Sundance TV (owned by AMC Networks); numerous sports channels; The Disney Channel (owned by The Walt Disney Company); and BBC America (jointly owned by AMC Networks and BBC Studios). YouTube TV members also have access to YouTube Premium original movies and shows (although a YouTube Premium subscription is not included with YouTube TV). Right now they have a 14 day free trial, so if you’re thinking about cutting the cord, sign up for a trial here. You’ll want to download the YouTube TV app on your Apple TV and see how you like it! It’s $40/mo after your trial. One of the questions I get all the time is what is the best keyboard for an iPad. It’s not a straightforward answer and we all have different preferences for how it feels. That said, if the Smart Keyboard by Apple isn’t for you, check out the Brydge iPad Pro Keyboard. This is a brand new model and they tout is as the bridge between your laptop and iPad. It’s designed to look and feel like your laptop keyboard so it’s a seamless transition between the two. The iPad Pro version is brand new and available for preorder here. If you want to check out reviews for older models to see what people are saying about them, look here! All this and it’s even cheaper than Apple’s Smart Keyboard folio! The Facetime bug is Fixed! A serious bug was found in the Facetime system for group calls. This is a new feature that was released in iOS 12.1. I doubt most of you have used it. Either way, someone found a way to insert themselves into a call someone else was having so Apple shut down group calling. On Thursday Apple released version 12.1.4 which fixes the issue. Be sure to update your phone if you haven’t already! Over the past few weeks Apple has been cracking down on all kinds of companies. First it started with Facebook creating an app that could bypass the App Store and collect sensitive information Apple blocks from developers. Next they found Google was doing the same thing. Apple shut down all of their internal apps causing chaos in both the companies and completely halting development of iOS apps. GO APPLE! Next up, they found some developers have been trying to collect recordings of how people are using their apps. Again, this is not something Apple allows and has let developers know their apps will be removed from the App Store if found doing this. With privacy violations just now coming to the mainstream eye, I’m happy to hear Apple is leading the way in shutting these people down and protecting our data. I’m so excited to introduce to you my newest team member, Jeanette Voss! Jeanette is my new Executive Assistant and we used to work at Apple together. I’m so thrilled to have her on board helping to keep me in line. She’s primarily helping me stay on top of email, manage my calendar, and help me on the administrative side of things. My hope is that by bringing her on it will really help YOU! She’ll be there to make sure I don’t miss anything, help you with questions, and make sure things are handled as quickly as possible so you can get your issues solved! So, if you’re a client of mine, don’t be surprised if she writes to you on my behalf...trust me, she’s here to help and make everything more smooth and efficient! In her free time, Jeanette loves spending time with her husband Matt and almost 5 year old son Ethan. She loves all things cars and is a bit of a sneaker-head at heart. Happy New Year! It’s that time of the year where most of us are thinking through how we want the next year of our lives to look. Maybe you’ve set some resolutions or even gone further and created some goals that you want to accomplish this year. If so, you’re probably looking for tools and apps to help you stick to those goals and we’ve got you covered here! First up is a pretty awesome habit tracking app called Productive. It allows you to track your habit goals like drinking water, meditating, working, etc. It shows your streaks and will even send you reminders if you want. It’s got a beautiful and simple interface. If you set any habit goals, make sure to snag this one. Download here. If you’re looking for a more robust goal tracking app, Strides is pretty neat. It lets you track habits but also tracks your progress on other goals like paying down debt. It has more options than Productive, so if you’re looking for something to include all your goals, definitely check it out and download it here. We mentioned this app in last week’s newsletter but it’s worth mentioning again. If you are the type of person who needs extract motivation to stay on track with your goals, why not bet on it with your friends? Each friend puts money in the “pot” and then you check in each day you complete your habit. If you miss a habit, you pay a penalty fee. And the winner takes all. Download it here. My favorite meditation app by far. If you have a habit goal for meditation, this is perfect. This one is simple, clean, and the best partially guided meditation I’ve had. You will be guided in and out but will have silent meditation for part of it. Plus, they have fun 12-30 day challenges which are great for making a habit. Download 1 Giant Mind here. I use this workout app and it’s awesome if you’ve created a goal to workout regularly but struggle to find the time. It’s pretty basic but gives you the workouts. And its just 7 minutes. But believe me, these are tough workouts and you’ll definitely be sweating by the end. Download it here. If you’re wanting to make a habit of drinking more water, this app is not only helpful but also cute. You basically pick a “plant” and have to water it each day by tracking how much water you’re drinking. If you don’t want it, it will wilt and eventually die. It makes a game out of staying hydrated and really works! Download it here. Are you trying to read more books this year? If you love reading books on your phone or listening to audiobooks, then Libby is a must. Simply connect to your local library with your library card and immediately begin checking out books and audiobooks straight from your phone. Download it here. Another amazing (and pretty obvious) app for increasing how many books you read is Audible. I personally love it. You can speed up the books to listen to more in less time and it helps you make it a habit since you get a new book credit each month. Download it here. May you want to be more intentional about journaling each day, tracking your life and emotions or just want to keep track of memories. DayOne is great for this because it syncs on all your devices and lets you search your journal entries. Download it here. Last, but not least, isn’t actually an app but it’s amazing for helping stay on track with your goals and dive deeper into them. Not only will you create goals for the year, but you’ll be able to figure out why these goals are important to and your next steps. Then you’ll be to focus on those goals each day. You can check it out here. So my brother-in-law had one of these over Christmas and I thought it was pretty awesome. I got to play with it a little bit and am hoping to get one of my own soon. It’s a pocket-sized gimbal that shoots 4K footage and it even will attach to your phone. 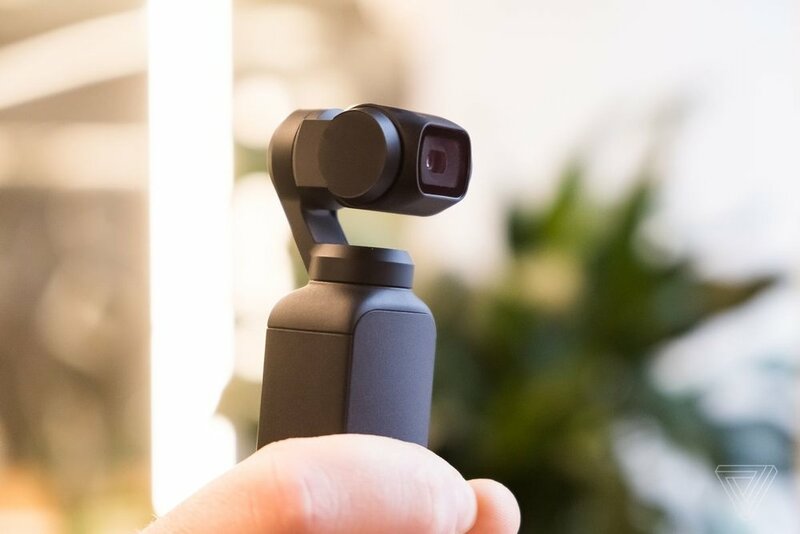 I can’t say for sure how much I like it since I still haven’t gotten one, but I thought for those of you who are into videography, you might find it cool. You can check more out about it here. 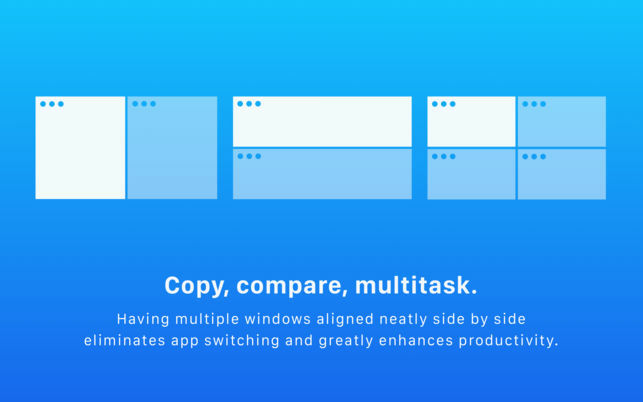 The Magnet app for your Mac will automatically resize your windows for you depending on where you want them placed. This is awesome if you usually have lots of windows open that you’d like to see at once. For those of us that like the screen split into halves, this is the next level. Check it out here. I’m Hiring! Do you know someone who could be my new assistant? Well, this is bittersweet. My sister-in-law and executive assistant, Marissa, has been offered a full-time job and will be leaving me in January. I’m thrilled for her and have been so grateful for our time working together. So now I’m looking for a new assistant. If you or someone you know would be interested in becoming my executive assistant visit the link below and please email careers@thedigitalorganizer.com with your resume and cover letter. Did you set new goals and resolutions for 2019? If so, you’ll want to make sure to watch last week’s episode of The Digital Sanity Show because I share the best apps you can use to make sure you accomplish your goals (and there’s more than what’s in this newsletter!). Trust me, you don’t want to miss this one if you’re looking to crush this year! Heads up here! If you get a call from what appears to be Apple, be aware that it may be a phishing scam. 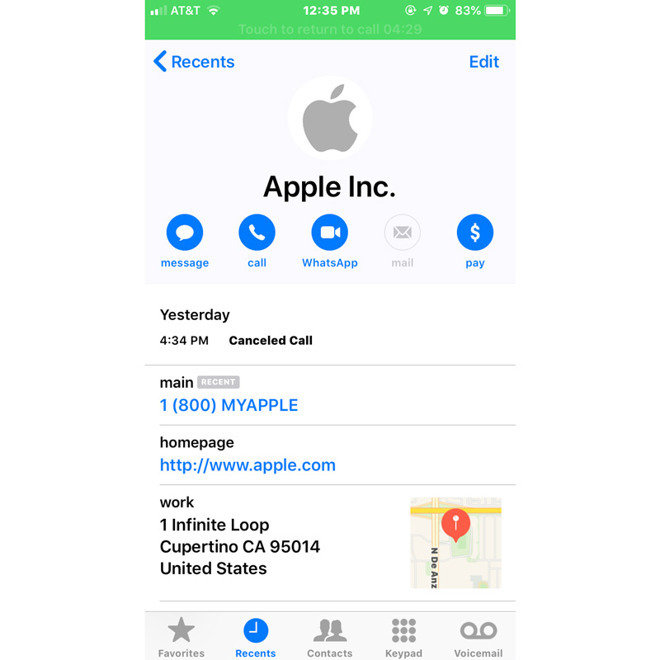 The contact card will look exactly like the Apple Inc. contact card on your iPhone. But it’s most likely not them. They may try to get your personal info, but please do not give it to them! Remember, Apple never cold calls. If you happy to receive a phone call, hang up immediately and report it to Apple. You can learn more about reporting phishing here. join me on facebook this wednesday at 8pm central! Friday I had a session with someone who didn’t know about Shared Albums in iCloud. This is my far my favorite way to share photos among Apple users, even if they don’t have a Mac. When celebrating with both sides of the family, I created a shared album for all of us to upload our photos to. It’s way easier and more fun than using Dropbox or some of the other things a lot of people use on vacations with friends and family. In fact, we do this for every major event and we all love it! Join me on Wednesday, January 9th at 8 PM Central to learn all about it!